For whatever reason, millennials have gotten a bad rap. They have developed this reputation for being difficult, entitled, self-absorbed, dangerous, and technology-addicted. It’s almost as if they are their own entire species of human. This is probably mostly due to the lack of understanding of the parenting generation. Parents today often feel they struggle to relate to their millennial children because the gap seems more broad than any other generation before. Technology, politics, social issues, the economy, and education has changed so rapidly from the time when today’s parents were teenagers. So how do YOU bridge that gap to connect with your millennial teenage boy? One of the most common complaints from parents of millennials is that there seems to be so much distance between them and their teen. You live in the same house, drive around town in the same car, eat dinner at the same table, but your teen boy lives in a different world than you do. Much of this can be attributed to technology - his whole life can be lived on a 6 inch screen. He talks to his friends, reads, watches media, does homework, and experiences new things all on the device of his choosing. He doesn’t understand your complaints about coworkers or how you can’t figure out that darn wireless printer. He has no interest in your work and doesn’t feel a need to learn the skills you might want to teach him. But that doesn’t mean connections aren’t possible. Many parents fall into the trap of trying to force their millennial into their own interests. 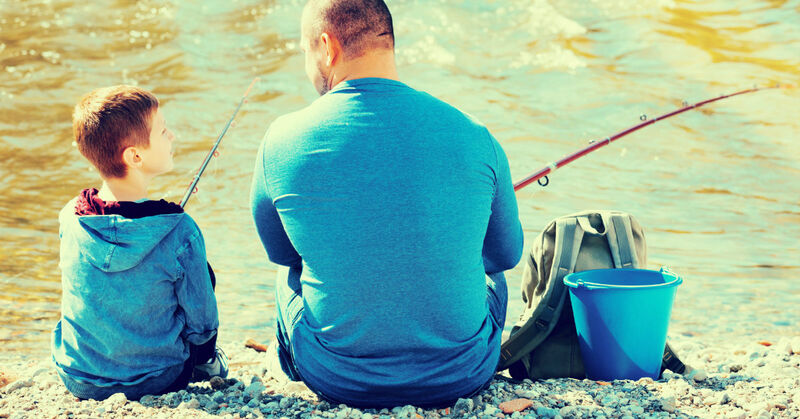 For example, if you love fishing you may try to haul your sleepy teen boy out of his bed early on a Saturday morning for a day of fishing which he will find annoying and boring. Fail. On the other hand, you can also have a major backfire by trying too hard to absorb their interests. Listening to their music or trying to use their millennial lingo can be humiliating and even threatening to them and their lives. The key is to avoid these two extremes and go for something in the middle. The best way to make a lasting connection with your teen is to do something entirely new. That’s right - something that neither of you feel totally comfortable with. It shouldn’t be something terrifying or distasteful, of course. Choose something that sounds interesting, fun, education, or useful, but something that can set you both a little off-balance and then experience it together. Maybe it’s a new recipe to make together, going to see an independent film, choosing a new and unknown location for a family vacation, or trying a new sport together. Making these lasting connections isn’t easy. Especially if your millennial teen is troubled. Troubled teens need intense help and intervention, so the connections are often fragile or nonexistent. You may not know where to start, but therapeutic boarding schools may be an option that can reset the relationship and help your teen build a healthy life and relationship with you again.